Limpia is a traditional form of healing practiced by the Andean people in South America passed on through generations by the Elders to their apprentices or by family linage and it literally means "to cleanse". It implies different plant based fluids and remedies including sacred smokes as well as minerals, that are blown, smudged and/or applied directly to the body externally. 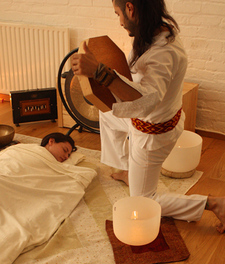 This art form of healing helps the person to purify the different bodies, Physical, Spiritual, Emotional and Mental. 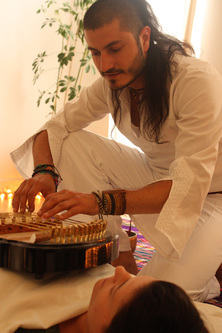 ​This "Four Winds Limpia" session has been created by Anthar Kharana as an expansion of the traditional way of Limpia he carries by tradition, adding different aspects of the herbal energetic healing properties of different sacred plants and resins, together with sound and a water/flower blessing.